Roy Lancaster introduced this bamboo in the early 1990s. 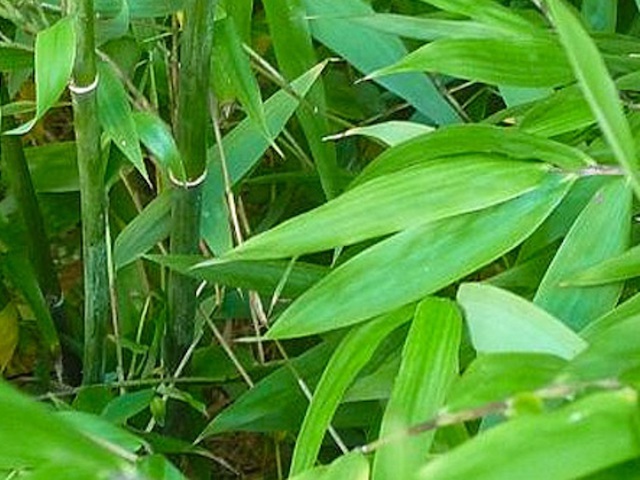 Mid-green leaves and the culms are tinged yellow which can become a rich yellow if exposed to full sun. A tight clumper and mature specimens look great in a solitary planting. 5l version has 4-6 stems and is 1.0-1.5m high. 15l version has 4-6 stems and is 1.2-1.5m high. Care: Full sun or semi-shade, fully hardy. Limited stock – please call for availability 01837 849342 Monday to Friday, 10am to 4pm or email sales@bowdenhostas.com. Click the button below to add the Fargesia denudata 'Lancaster' to your wish list.